Crises come in all shapes and sizes. Sometimes a giant repair bill appears with no warning, while other times you know there’s a shortage coming because your work hours were cut just enough to cause a problem making ends meet that week. Either way, you need a solution quick when it’s a matter of putting food on the table. A payday line of credit gets you cash quickly, and best of all it’s going to keep being there when you need it – for both the expected and unexpected times your budget falls short. When life gives you lemons, the last thing you have time for is tracking down the knife and the juicer, the pitcher, spoon, and sugar – you just want to make lemonade, right now without any complications. When you’re sitting in an emergency room waiting to find out if your child’s knee is torn or broken or just sprained, the last thing on your mind is the bill that’s waiting at the end. Your only concern is for the health of your loved one – and afterward you want to fill any necessary prescriptions, pay the copayment, put gas in the car and buy the injured child their favorite meal, all without putting your bills or other necessities at risk. Knowing you have an approved payday line of credit means you can access the extra cash you need with only about a day’s lead time for the funds to be transferred to your bank. As long as you haven’t exceeded the limit – and all the repayments you make go back into your available balance – you can be confident that you’re prepared for emergencies large and small. 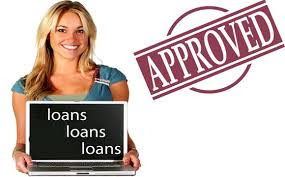 Traditional loans seem to make things more complicated than they have to be – lots of questions, lots of paperwork, long waits to find out if you’re approved. If you’ve got good credit it’s a difficult anxious process, but if your credit is damaged it’s even worse because you know you’ll probably get turned down. You’ll have wasted all that time, plus it’s discouraging and embarrassing. With a payday line of credit, the process is quick and convenient – and you can apply at any time of the day or night because the entire process is conducted online. 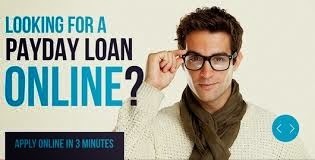 The speed of the internet has changed the loan industry in many ways and this is one of the first and best. In addition, any past credit problems are no problem at all. There’s no credit check, so nearly anyone qualifies. 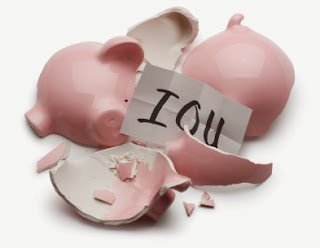 Long-term lenders need to concern themselves with your personal and financial stability over the course of years – but since when you borrow from your line of credit the funds are repaid within about thirty days, lenders have the opportunity to use a different set of criteria when making their decisions. It's a win-win situation for everyone!